-my father's namesake, (his Grandfather on mother's side)... killed August 24 1914, in a cavalry charge during the retreat from Mons. The Battle of Mons was fought on 23 August, 1914. If British tactical doctrine of that time was similar to most armies cavalry would have served three roles: reconnaisance, shock troops in battle to exploit a breach and screening both advances and retreats. Having been killed on 24 August it is very likely he was part of the force detailed to cover the retreat from Mons. I would assume also that he was a pre-war regular since he was involved in such an early stage of the war. "The Old Contemptables" as the pre-war army was called pretty well decimated in these early battles and the result was massive calls for volunteers that followed in the fall of 1914 and raising of what became known as "Kitchener's Army". 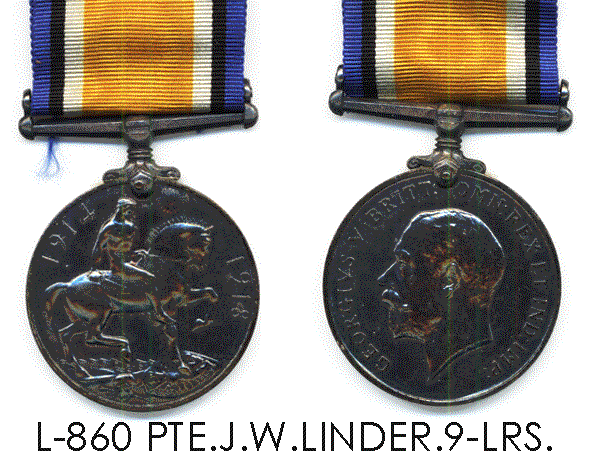 Jack Linder probably charged at Audregnies (Belgium) on Monday 24th August 1914 with the 9th Lancers and the 4th Dragoons Guards against the German infantry (1st Army - VON KLUCK) coming from the north (Canal from Mons to Cond�) during the retreat from Mons (Battle on Sunday 23/8/1914). 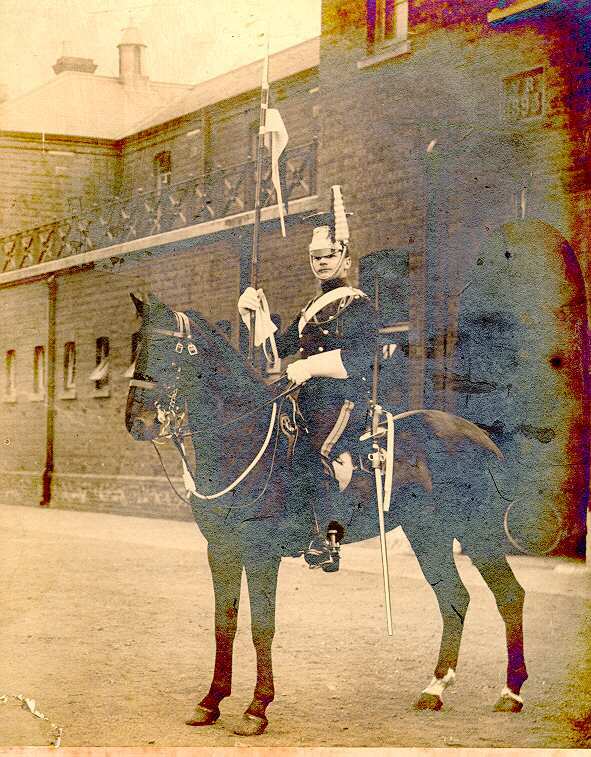 He seems to be a lancer ( 9th Lancers? ).